Bay Area drivers are now eagerly waiting for another transportation milestone with the fourth bore of the Caldecott Tunnel nearing completion. 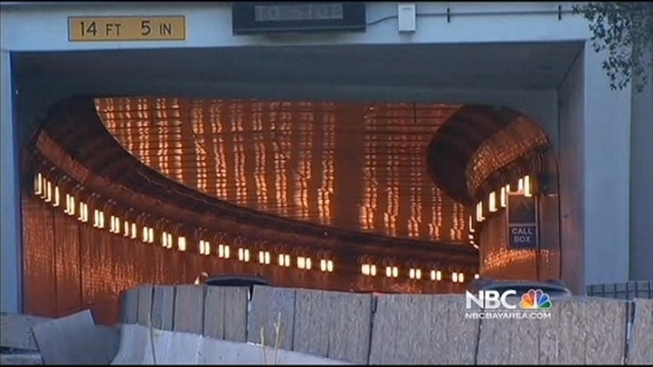 Caltrans said the new tunnel will be open before the end of the year. The $400 million project is an easy sell to tax payers like John Lee, who are tired of planning around the tunnel traffic. "It would be fantastic!" Lee said. "Some of it's timing, you try to hit the side with two tunnels." Drivers hope the new tunnel eases a notorious back up in the area. Amy Worth, the chair of the Metropolitan Transportation Commission, said it will also be the safest of the four tunnels. "It's built to the highest standard in terms of safety, seismic, and fire," Worth said. "All the things you can do for a tunnel." The Caldecott isn't the only improvement down the road. Millions of dollars are being invested in expanding public transportation. BART is expanding to Antioch and to San Jose. Once BART connects to Caltrain the transit circle will be complete. In Marin County, the SMART commuter train is under construction. On the Peninsula, Caltrain is electrifying its tracks to pave the way for High Speed Rail. View more in Jean Elle's video report above.